This card by Johanna van der Linden will make real change for women in Asia Pacific. This is Lilly Be’Soer, leader of Voice for Change, one of IWDA’s partners in Papua New Guinea. You can support as many as 10 women survivors of violence with much-needed counselling and referrals. This supports survivors to escape violence, stand up for their rights and rebuild their lives. 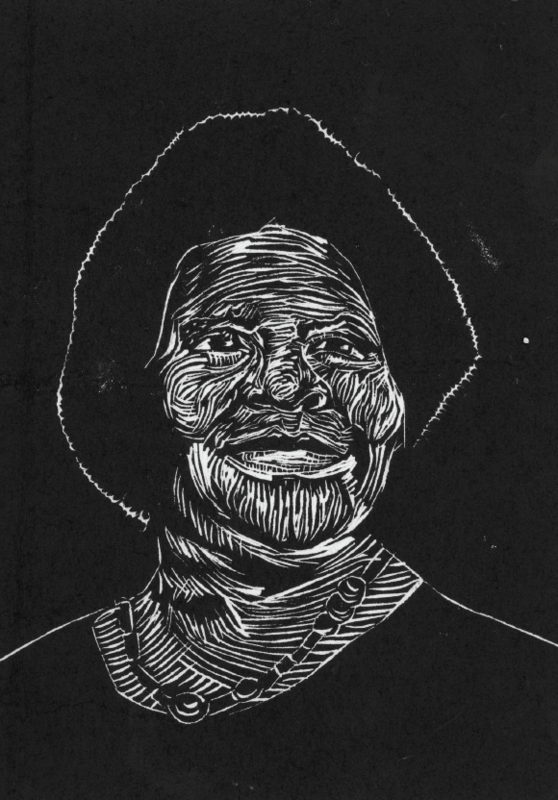 We’ve got partners on the frontline of women’s rights in Papua New Guinea who tell us violence against women is rife – and often at the hands of a husband or partner. In the Highlands of Papua New Guinea, nearly 100% of women have experienced violence from their partners or husbands. Voice for Change works with local communities, educating women and men about violence and the law. Their Women’s Human Rights Defenders take women into their homes, offer them a place to stay, someone to talk to, and advice on where and how to seek help. They also work with local governments and community leaders to improve how they support women and prevent further violence. Johanna van der Linden is a visual artist living in the outer suburbs of Melbourne. Traditionally a print maker, Johanna’s practice incorporates drawing, sculpture, performance and installation works. Her work explores ritual, corporeality, the human condition and the interconnections between these themes. All cards are ethically printed in Australia on eco-friendly 100% recyclable paper.